Share2Care and Teach Resiliency are looking for educators who value school-wide wellness and positive mental health. In 2017, PHE Canada, CAMH and the Centre for School Mental Health with support from The Co-operators, launched Teach Resiliency – an online portal of evidence-informed tools, resources, and strategies to help support student and teacher mental wellness. 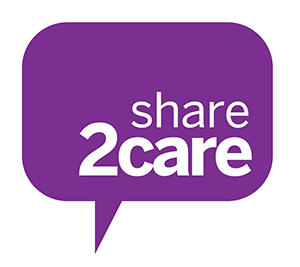 In furthering the mission of Teach Resiliency, Share2Care aims to recognize and share unique, innovative, and promising school mental health practices that are making positive impacts on students, school staff, or both. If you, your school, and/or school board is leading a mental health initiative that is showing to be making a positive impact on the mental health of students and/or school staff, Share2Care and Teach Resiliency want to hear from you. By submitting a promising practice, you will have the chance to receive $2,000 to further advance your mental health initiatives! Deadline is November 19, 2018. Submit now, by clicking here! Questions? Contact ryanfahey@phecanada.ca or by phone at 613-523-1348 x 2341. To learn more about Teach Resiliency, click here.